Yay!!! It’s strawberry season! Strawberry season is the local kick off to a summer of great produce. Not much beats ripe, freshly picked strawberries. Everyone gets excited and a bit crazy during the first few days of the season. Demand is high and the berries are moving. In order to keep up with the craze, you’ll find that sometimes the berries are picked in haste. If you’re not picking your own, you might find a bit too many under ripe strawberries. Not so sweet and delicious. The first thing I do when I bring berries home is remove them from their cartons, rinse them off and let them air dry. This way they’re ready to eat. This is also the time you should inspect for any bad berries that need to be tossed or badly bruised & overly ripe berries that need to be eaten right away. So what to do with those greenish-whitish sour strawberries. Easy. Chop up all your cleaned berries, throw them in a bowl and mix them up with some sugar. Cover and refrigerate for a few hours. 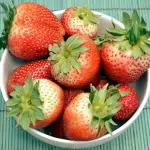 The sugar and natural acidic juices from the strawberries mix and macerate/marinate the berries in sweetness. No need to make a simple syrup – the berry juices do it for you. This works best with a mixture of juicy ripe and not so ripe berries. That’s it. At times I feel silly stating what seems obvious to many. After having a conversation with an older woman at the grocery store today, I realized there are a lot of people who don’t know such little tricks. On another note, if the strawberry crop is abundant, buy up on it while it’s cheap. Strawberries freeze very well – even more so if you have a vacuum sealer. Okay, enough reading! 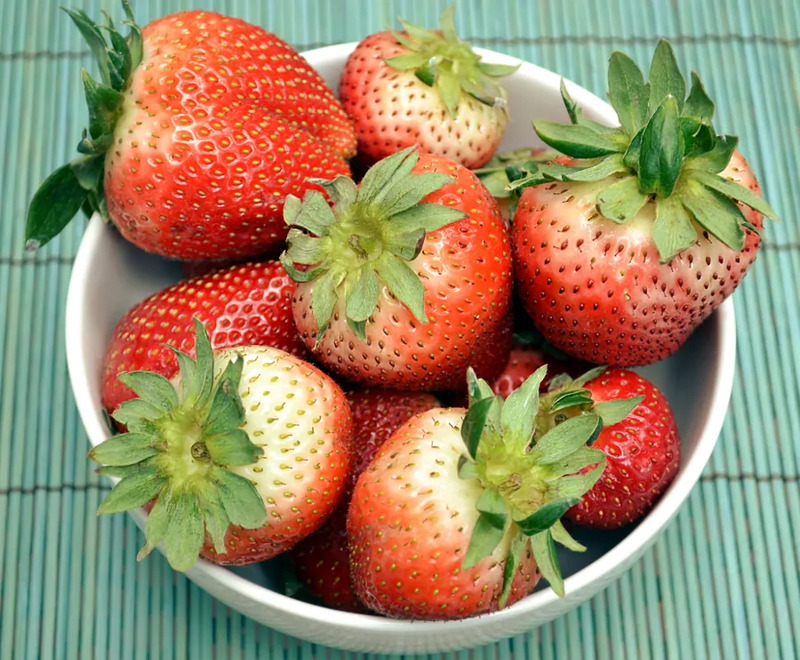 Go out and get your fresh strawberries – the season doesn’t last too long! Under ripe Strawberries? Don't throw them out! Use this simple trick to sweeten up those sour, white/green strawberries! Wash, clean, hull and cut (half or quarter) strawberries. In a medium bowl, combine berries with sugar. Mix until sugar is completely dissolved. Store covered in the refrigerator for a few hours or overnight. Enjoy your sweet, juicy strawberries! This is a great read, I love all your posts! Added sugar wonderful. It used to be strawberries where naturally sweet. Not so anymore mass produced produce has lost its flavor if not luster. Sad. I’m resorting to Korean Strawberries… really sweet and juicy. I can’t really find sweet locally produced strawberries in Malaysia too. What a great tip! Thanks for sharing this with The Sunday Brunch Magazine! thanks everytime i buy berries they are sour! always! have you tried using artificial sweetner for a diabetic diet? Hi Patricia! I haven’t, but I’ll give it a try next time I get some not-so-sweet berries. I have a diabetic in the family so I have a BIG assortment of sweeteners. Was out of sugar so used some local straight from the hive (through a filter) to the jar local honey which added a slightly different sweetness but was down right delicious and better for us than simple sugar. When mixed with ice cream all flavors seemed to be enhanced. Thinking of trying a little maple syrup next? Sounds wonderful! With ice cream…oh my yum! Takes much more than 1 tablespoon of sugar to sweeten a pound of tart strawberries. Sounds good in theory just not very realistic. Angie – sugar is not inherently “bad for your blood”. Too much sugar or an excess amount of sugar can pose health risks for certain individuals. The key is moderation. 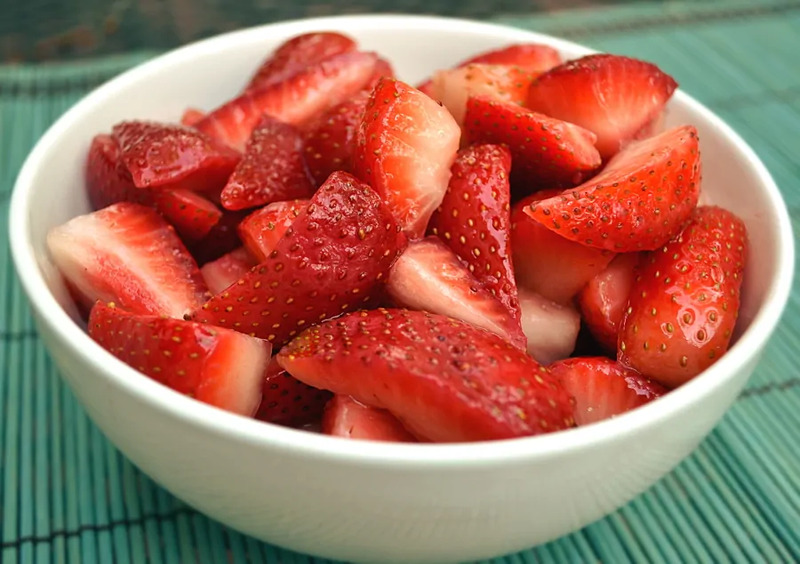 A tablespoon of sugar for a pound of strawberries isn’t going to be “bad for your blood”, unless of course your diabetic or you just inhaled a 1/2 dozen Krispy Kremes & washed it down with a large coke.